Inspired by our love for fresh blueberries, heated just until they melted together and sweetened with a little natural cane sugar, our Blueberry Syrups turn breakfast into a 5-star event! 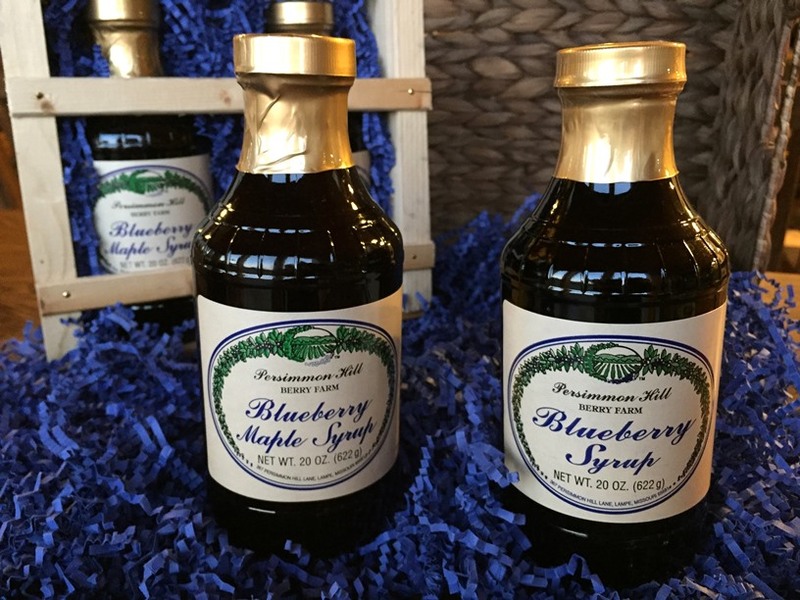 Choose two from our three specialty blueberry syrups: Classic Blueberry Syrup is all blueberry, Blueberry Maple has rich maple undertones, and Blueberry Amaretto has a hint of amaretto. All are delicious straight from the bottle or warmed, on hot pancakes or crisp waffles. Try any of these over ice cream or as a drizzle on cheesecake or pound cake. Each bottle is 20 oz.